Join us to make a difference in the world. We actively work to enhance the lives of parents and babies across the world under our mission statement, “Love Creates Love” through our trainings, projects and programs. We are here to make an impact on the world as well as helping hundreds of students find their passion and set up businesses they love. We regularly receive love and praise from people and organisations across the world letting us know how teaching and learning infant massage and yoga has changed their lives for the better. Our Nuture Manifesto can be downloaded here and sets out the aims, objectives and principles behind Blossom & Berry training, classes and campaigns. Physical and mental health is supported by love and connection which begins with nurturing touch. We help to give babies the best start in life throughout the first 1000 days by promoting the benefits of nurturing touch, massage and yoga and providing education on the importance of infant mental health and early brain development. We help support babies who have colic, constipation or congestion through gentle techniques. We help to encourage parents to respond to babies needs and help babies feel loved by providing positive interaction and respecting babies cues and language. We support the human rights of babies by encouraging positive interaction and responsive care. Baby massage supports the health and wellbeing of premature babies through gentle touch techniques such as kangaroo care. Infant massage creates an environment where babies can communicate, be heard, feel safe and cared for. We support, and increase awareness around, infant mental health and the emotional wellbeing of children. We help parents feel bonded and connected to their babies and more confident in responding to babies cues and needs. We help parents understand the importance of infant mental health and their crucial role in helping babies emotional regulate and develop resilience. Baby massage can help to support parents with post natal depression. Prenatal classes can help parents mentally prepare for their baby’s arrival. We help form supportive communities for parents through our classes and our Love Creates Love groups across the world. We empower people from all kinds of backgrounds to teach the importance of nurturing touch, massage, yoga, love and connection and create successful businesses they love. Growing Babies: The Little Blossoms Project-Over 450 women each year receiving safe motherhood education and infant massage classes in Malawi. Women are being empowered with the knowledge of how to care for their babies to enhance their development in the first 1000 days of life. Creation of Little Blossoms Mother & Baby Hub-Pre school built to help to provide needed pre school education and adult literacy classes for parents and children in the community. 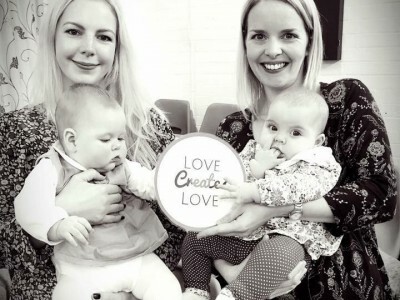 Free training on Love Creates Love classes to support new parents and babies. Cup of Love Project-The Love Creates Love project in Botswana, helping to support parents and babies in the community. Supporting babies with Down Syndrome in Mexico with Red Down Mexico. Helping support mothers and babies in poverty in Mexico with Kilo de Ayuda. Offering bursary schemes to remove barriers for learning for students. Creating a network of over 400 teachers all promoting the benefits of nurturing touch, connection and love for babies. Helping inspire Blossom & Berry teachers to set up voluntary projects and give opportunities to give back and make an impact across the world.